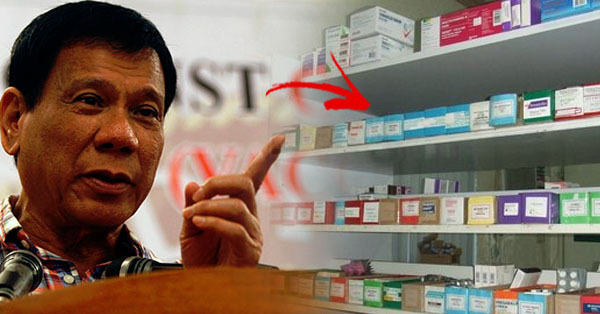 Home / News / Philippines / FULL LIST: Requirements for President Duterte's Free Medicine program "Lingap Sa Masa"
FULL LIST: Requirements for President Duterte's Free Medicine program "Lingap Sa Masa"
Those who want to avail of the program should provide a valid ID. If the patient has a representative, the representative should present a valid ID and a written authorization signed by the patient in favor of the representative. Another important requirement is the doctor’s prescription which should have been issued within the last three (3) months. This should indicate the date and the name of the patient, and the document should be signed by the attending physician, with his/her license number and contact details. “A proof of indigence should also be presented, but this proof is not limited to Barangay Certificate of Indigence or Certification issued by the medical social service of an identified hospital. In this program, the doctor issuing the prescription can also issue a certification that the patient is indigent and is qualified for the program,” said Sec. Taguiwalo. Certified true copies must be certified by either the DSWD social worker assigned to the hospital; the office that issued the document; or the officer who assigned the document.